There was a time, 3 years ago, when Michigan fans could freely roam the rolling hills of Pennsylvania without the fear of harm. The year was 2007. Fresh off a home victory, Michigan fans toasted to yet another win, their 9th in a row, against the seemingly tame Nittany Lions of Happy Valley. 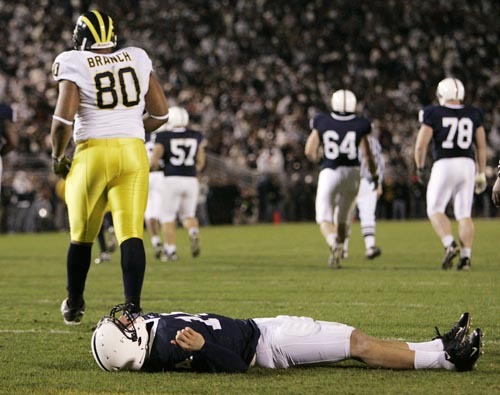 Yet, as the 2008 contest drew to the halfway mark, the Wolverines retired to their locker room at Beaver Stadium with a 17-14 over the #3 ranked team in the nation. Michigan was struggling to come to terms with a new head coach, a new system, and not having the players capable of running said system. So a lead against such a highly ranked team was a surprise to say the least. Reality then set it, and Lions emerged victorious 46-17. Last season's game was not much of an improvement. Prior to that, the first ever meeting between these two powerhouse schools didn't take place until Penn State joined the Big Ten in 1993. Michigan won the first ever contest, 21-13. ESPN's Adam Rittenberg likes us this. We're actually the pick of the week. Video proof. Why the stats? Because charts are fun, that's why. First off, Penn State QB Rob Bolden, who sustained a blow to the head last week against Minnesota and suffered a concussion, will not be playing this Satuday. Earlier in the week it was rumored that Bolden had made enough progress to play, but now that has been ruled out. So that leaves Penn State with former Michigan commit Kevin Newsome, and sophomore Matt McGloin. Newsome was a former 5-star recruit, while McGloin was most definitely not (walk-on). So the fact that all signs are pointing to McGloin to be the starter Saturday night has got to be disconcerting for Penn State fans. However, that doesn't mean that Penn State is any less dangerous. Dangerous you say? Really? Well of course. Any offense can be dangerous when up against the Michigan defense. But in reality, Penn State ranks near the bottom of the conference in almost all offenive category. And make no mistake, running the ball is going to be very important in this game. And in no other category does Michigan trump the Lions more. And if you're thinking Michigan's rush defense is suspect, Penn State's is right there with us. So stopping Evan Royster is going to be important. Currently, Royster ranks 9th in the Big Ten in rushing, but only averages 64 yards per game. Derek Moye is by far the Lions biggest receiving threat, 7th overall in the Big Ten in yards per game with 65 yards per game. But with Bolden out, the overall receiving threat is much less with a relatively untested walk-on making his first start. Simply put, this may be one of the most vulnerable Penn State offense we've seen in a long time. And to a suspect Michigan defense, that could not work out any better for us. Penn State is not exactly lighting up the scoreboard, averaging only 20.3 points per game. This is a game where I think we can really improve as a unit. And maybe with enough improvement, especially at linebacker and DB, that could propel us into further improvement down the stretch run in November. I love how well we match up against Penn State's defense. First of all, they have been vulnerable to almost every team they've played this year because of a lack of good defensive play. And that's not just in losses to Alabama, Iowa and Illinois, but also wins against Temple and last week against Minnesota. 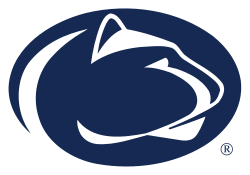 Now of course Penn State is always going to have some good defensive players...defensive linemen Devon Still and Pete Massaro, LB Nathan Stupar and Chris Colasanti, and DB Nick Sukay. They actually rank 2nd in the conference in pass defense, but rank 8th in rush D. They are extremely vulnerable up front. 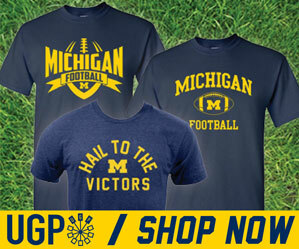 Frankly, if Michigan doesn't run the ball well against Penn State, I'll be shocked. This is not MSU or Iowa here (btw, we put up over 500 yards of offense against Iowa. Just sayin'). Start to worry if somehow Michigan doesn't have 100 yards rushing by the end of the first quarter. Did you know that teams are 15 for 15 in the redzone against Penn State? 100% of the time, they give up a score inside the 20. Absolute dead last in FBS. BUT...they rank 3rd in opponent 3rd down conversions, allowing only a first down 25.58 percent of the time. The point? Don't get stuck in 3rd down. But if you do, do it in the red zone. Okay, no. But seriously, we need touchdowns. Have you seen our kicker? No really, have you? Look who's 120th in FBS in field goal percentage. So yeah, touchdowns are the key. Also, Penn State is the least penalized team in the country with just 25 penalties for 176 yards. 25.1 yards per game. Michigan averages 51 yards. So if Michigan is going to put an end to all the talk about 2010 looking a lot like 2009, and feeling like it too, it all starts here. So far, Michigan has followed the 2009 script pretty stricktly, and quite frankly, that's scaring the holy crap out of fans. A win at Penn State would do a ton for this program. First of all, it would be yet another impressive road win, our third in a row to be perfect for the season. They would have a week to restock the shelves at Ann Arbor Torch and Pitchfork. It would also mean we were now bowl eligible. You remember bowl games, don't you? But it would start off this little stretch of our schedule on a positive note. With games coming up against Illinois and at Purdue, those game would be a lot more win-able if we come away from Happy Valley 6-2. I expect a win. I also expect to see Denard return to old form. This is the kind of game, and the kind of defense that Denard needs to show off his talents. But I think we're going to see a nice game from our running backs. Vincent Smith and hopefully Michael Shaw will have a couple really nice games. Shaw is not on this week's injury report, so I expect him to shine. Of course he wasn't on it last week and not so much.